A passenger was removed from a flight in Baltimore after scolding the passenger next to her for being a Trump supporter. Video of the incident uploaded to Facebook has gone viral with more than 3 million views. Scott Koteskey, who according to his Twitter account was in Washington DC for Donald Trump’s inauguration, uploaded the video after taking a flight from Baltimore to Seattle. According to his Facebook post he was asked by the unidentified woman sitting next to him: "Did you come here to cheer or to protest?" According to Koteskey’s Facebook, she also threatened to get drunk and vomit in his lap. 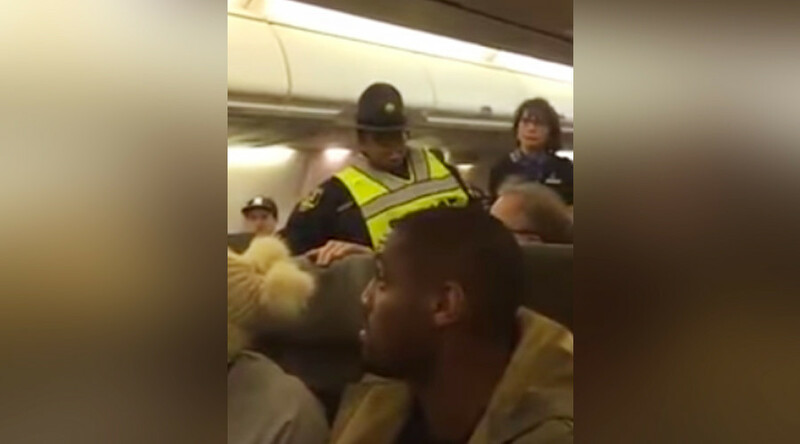 Other passengers can be heard chanting “USA” and cheering as the woman is removed from the plane.